Miami In Focus Photo Gallery of Fort Fish E106 in Central Park. 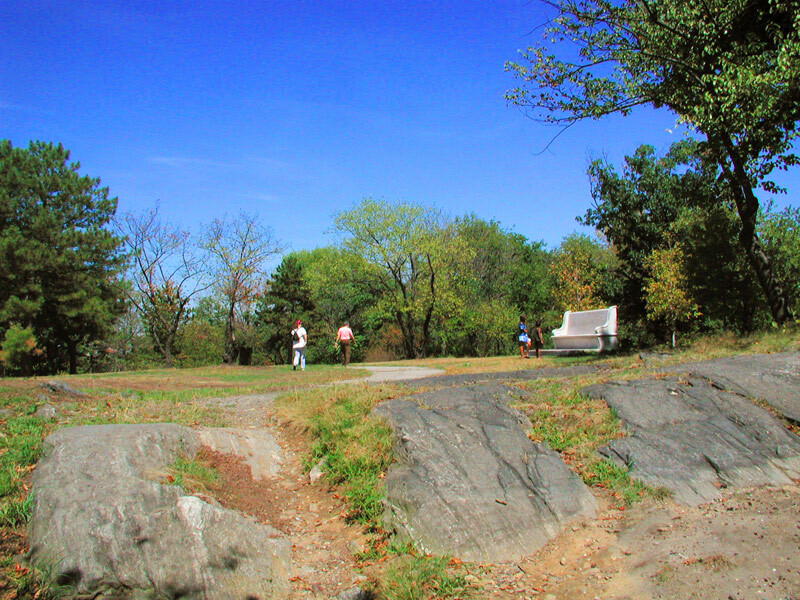 Fort Fish was named after the chairman of the city’s Committee of Defense and is now a site of interest in Central Park. This mound, which is the highest point of all the bluffs that once held forts, originally served as a key spot for military defense. 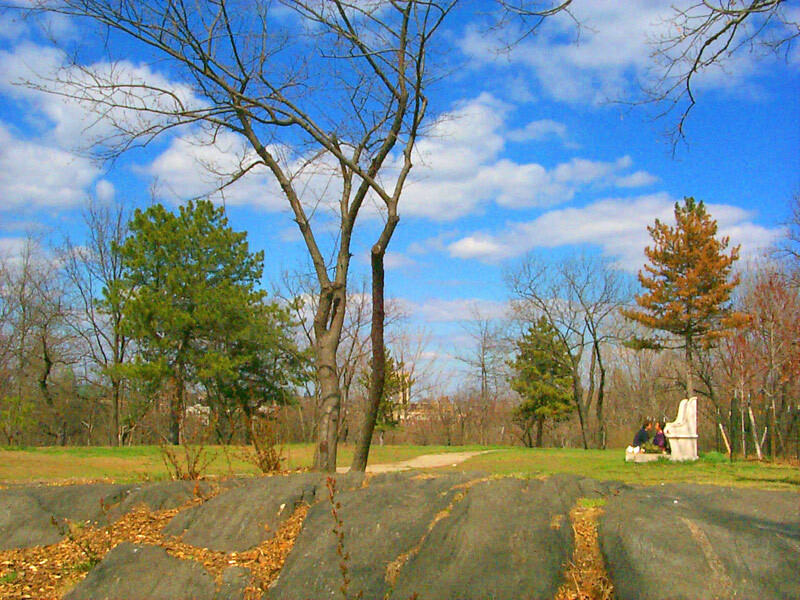 Fort Fish was the largest and most heavily armed fort located in the vicinity above the Harlem Meer. By the time the war ended on December 24, 1814, when the Treaty of Ghent was signed, like Fort Clinton it had never fired a shot in its own defense. Today all that remains is an isolated green field with tall trees divided by a single narrow broken path and highlighted by the Andrew Haswell Green bench.